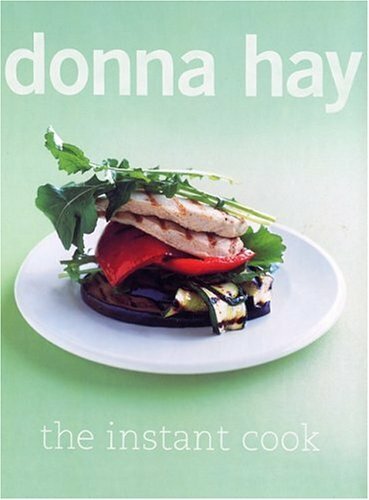 Donna Hay is swiftly becoming the source American cooks go to when they ask themselves, “What should we have for dinner tonight?” She has garnered a passionate global following for her fresh and modern approach to food -- bringing out clean, sparkling flavors with simple techniques and streamlined instructions. InThe Instant Cook, she offers more than a compendium of flexible recipes; it is an elegantly simple philosophy of cooking, and of eating. Donna Hay pulls together flavor combinations and cooking skills from the Mediterranean and the Pacific Rim - two of the most luscious and quick-cooking cuisines on the planet - to create delicious meals with a handful of ingredients in a few minutes. She gives home cooks the confidence to cook with instinct and with style. Donna Hay is Australia’s leading food editor and best-selling cookbook author. Her food, recipes and styling focuses on basic ingredients, simply prepared and beautifully photographed – hallmarks of her work which have set the benchmark for food publishing worldwide and inspired a whole new generation of cooks. She is the editor of donna hay magazine, a highly acclaimed, top-selling bi-monthly food magazine with tremendous local success and far-reaching international appeal. Each issue of the magazine has over 384,000 Australian readers*, has subscribers in 82 countries around the world and is the top-selling international food magazine in American bookstores Barnes & Noble and Borders. Donna also has a popular weekly food column in the Sunday editions of News Limited newspapers around Australia and The New Zealand Herald, reaching over seven million people each week. She is also a regular contributor to UK’s leading lifestyle magazine, Livingetc. Her simple and style-driven approach is reflected in her 18 award-winning cookbooks. She has sold more than 4 million copies worldwide and her books have been translated into nine languages. Donna was named one of the ‘Magnificent Seven’ cookbook authors by the international Gourmand Awards in January 2007. Donna’s successful homewares range is currently exclusive to David Jones in Australia. She is also in development with Royal Doulton for a stylish new range which will launch worldwide in 2009. The donna hay food range has just launched in Australia with cookies, brownies and cupcake baking kits full of all natural ingredients. As good as home baked. The range includes a line of pretty baking accessories – sugar pearls and buttons to elegantly decorate cupcakes plus stylish quality cupcake papers for a professional-looking touch. In true Donna Hay fashion it’s special made simple. In early 2009, Donna opened her first concept store in Sydney’s Woollahra. The donna hay general store is full of Donna’s products plus beautiful homewares and special gift ideas carefully chosen from around the world. Donna is also set to launch a shop online facility on this website soon, where everyone will be able to purchase donna hay products no matter where they live.